Basketball is a game of sudden starts, stops, cuts and accelerations. It involves excessive running and it is very important to offer the right infrastructure to improve the game performances. 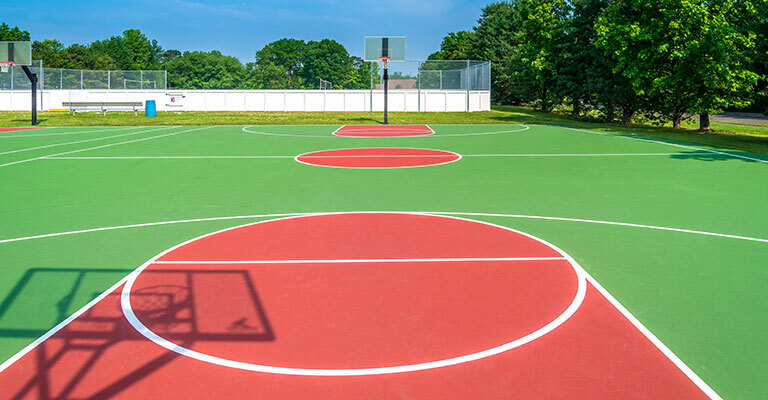 The flooring concerns of an indoor and outdoor basketball court vary extensively. Each has its own purpose and the flooring option chosen should be based on the usage requirements. Using an appropriate material will not only extend the life of the court but will also help in easy maintenance and improve the player performances. 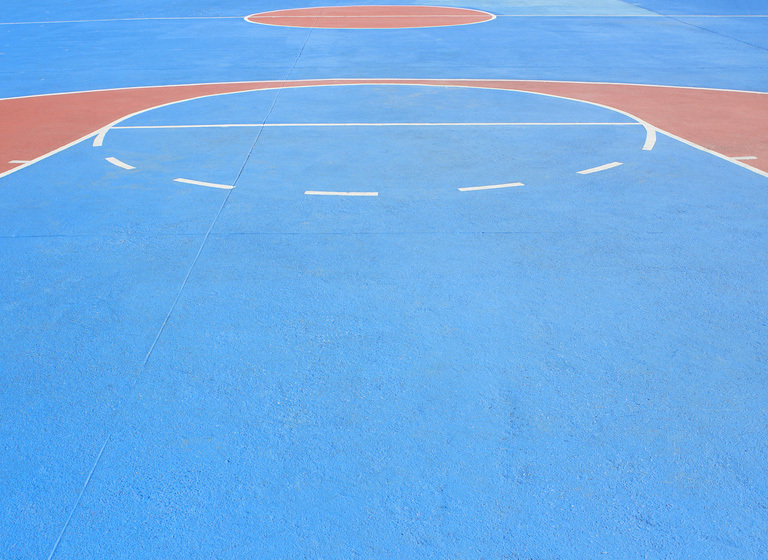 Acrylic flooring is suitable for sports such as basketball. The flooring looks aesthetic and is available at an affordable costing. Longevity of an acrylic sports flooring is more compared to liquid applied cushioning system which loses its resilience over time because of consistent wear & tear. Vinyl flooring is the most preferred indoor flooring surface because of its utility, comfort and lower installation & maintenance cost. Vinyl flooring provides the required shock absorption, uniformity, and comfort because of its non-slippery and non-abrasive finish feature. Vinyl flooring is also best suited for multi-purpose gymnasiums or sports centers that can be used to host conferences, assemblies & events. PP tiles are gaining huge popularity among the various outdoor flooring options available. The high-quality plastic used is highly sustainable and long-lasting. PP tiles are highly portable & gives the flexibility to the customer to choose the desired design pattern. It can be installed as per the convenience and requirement. Environment friendly. 100% recyclable raw materials. 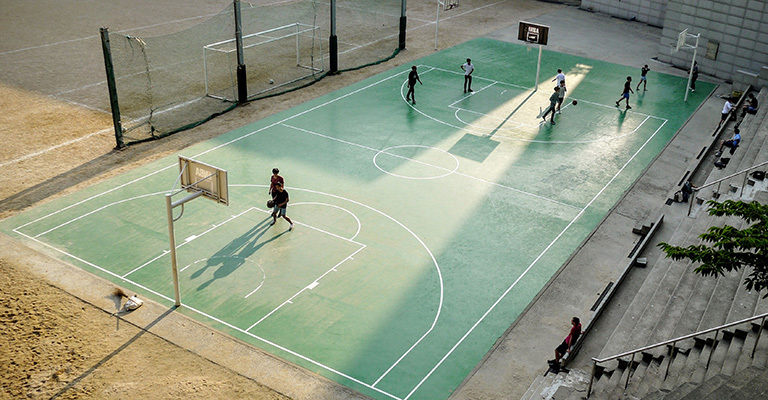 PU flooring is the best indoor/outdoor cushioned sports surface in the world. PU floorings are installed seamlessly from wall to wall. It is completely leveled making it easy to clean and maintain. PU floorings have a cushion effect to avoid causing any injury to the player. It provides the optimum grip for playing almost any sport. One can resurface an old & damaged floor into a brand new sports hall, unlike a vinyl floor. 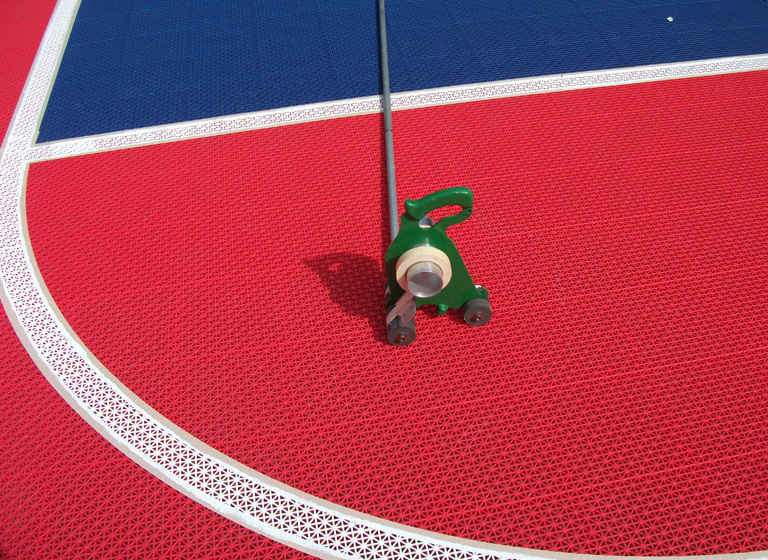 PU Sports surface system is non-porous, therefore hygienic and easy to clean. The systems provide the optimum slide and slip resistance required in today's most demanding sports arena. 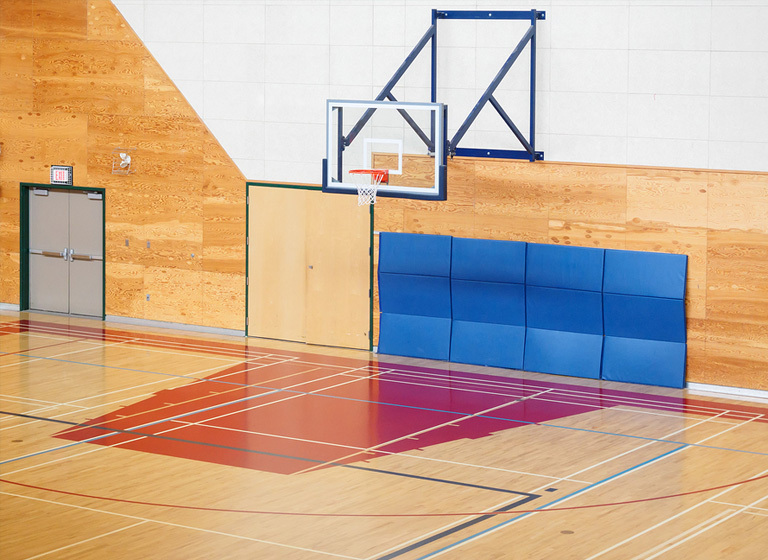 The re-storability and durability of wooden floors make them most sought-after flooring option for basketball courts. Wooden flooring gives the perfect balance & slide which improves the comfort and performance. 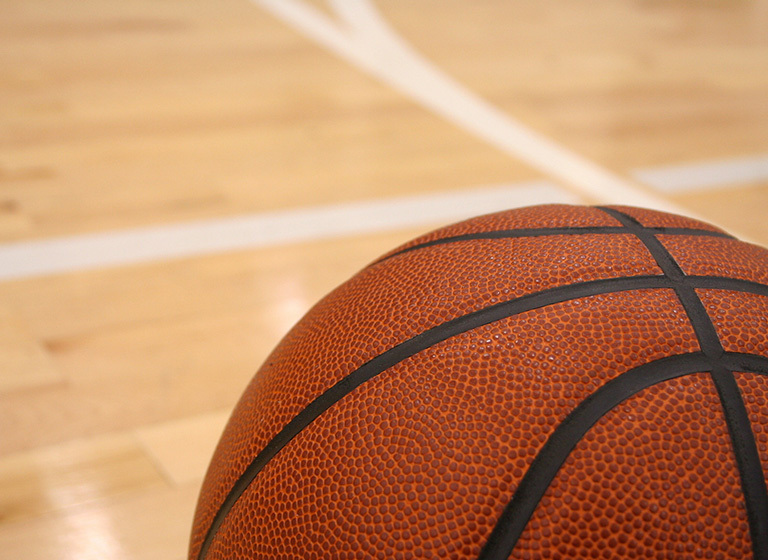 We strive to give that perfect wooden flooring for your basketball court. 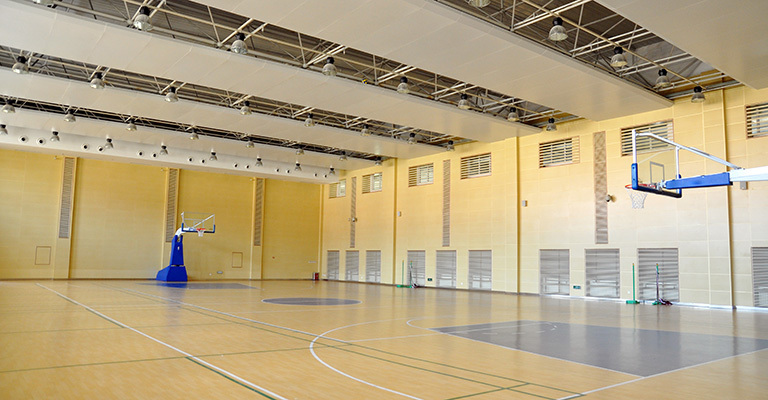 Rayzon's Wooden surfaces can be used for multi-functional sports floors. Rayzon takes complete control of the flooring analysis and installation, providing an integrated solution to ensure the best quality. 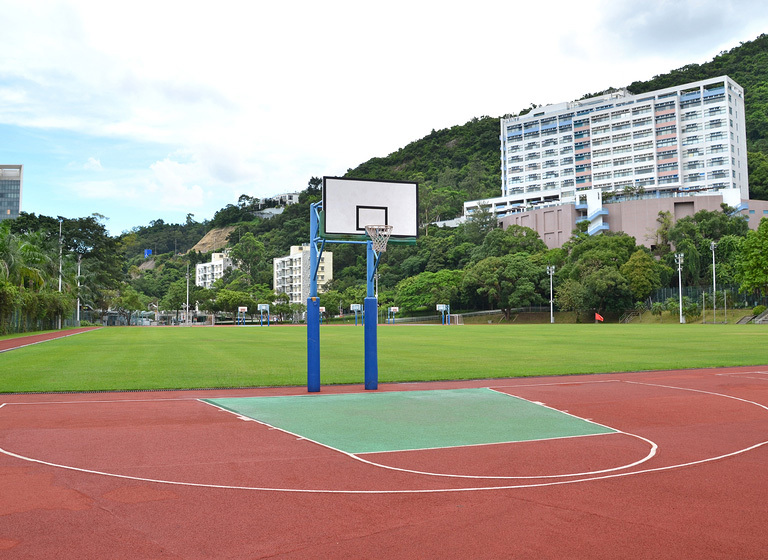 We provide customised services to our customers and supply a range of Basketball court accessories and equipments like Basketball system (foldable and rollable), Basketball backboard, dunking rings, line markings, score boards, etc. 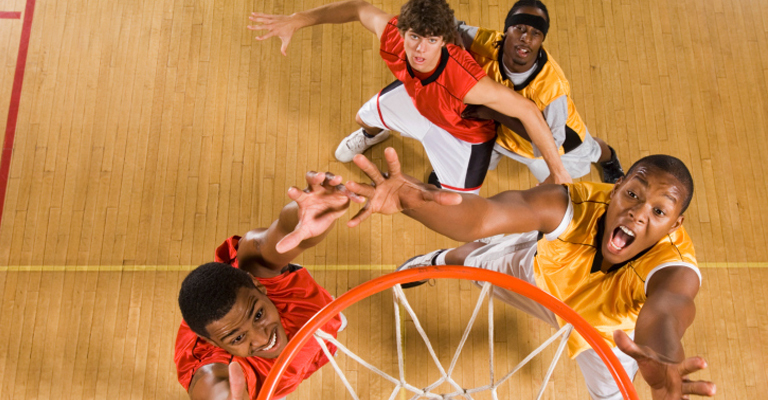 Interested in kick-starting your sports infrastructure project? Addressing all your sports infrastructure needs can never be so easy. Connect with us for A-Z sports solutions.